Specialising in offering a bespoke 24 hours 7 days a week property management outsourcing service that takes care of all your operational tasks. Thus, allowing you to focus on your businesses core competencies. We provide a number of services to estate agents and other housing organisations. We provide a number of services to estate agents and other housing organisations. 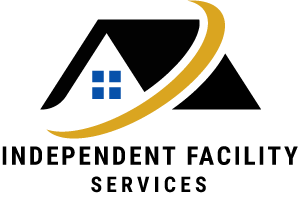 One of our most reputable clients is Apex Housing Solutions working in collaboration with a number of local councils such as City of Westminster Council, Barnet Council, Camden London Borough Council and many more.. The current climate of the property industry is a very volatile, one in which no one is certain which way the market will turn. Therefore, it is more important now than ever toconcentrate on the your businesses core competencies while delegating mundane timeconsuming tasks to external agencies. .
Outsourcing some parts of your business operational tasks will allow you to have more flexibility, as it will free up some of your internal resources. This in return will allow your business to focus on more important aspects such as further developing your property portfolio. Furthermore, outsourcing will allow you to be more cost-effective through reducing operational and labor costs. As we know reducing costs is key for a business to be more profitable . As typically a new recruit must be given a fixed term contract with a competitive salary and then they would have to be trained for several months until they can do the job effectively. However, by outsourcing the work is being carried out straight away as the company conducting the work already expertise within that task. It is therefore, recommended that you choose a company with great expertise and the enthusiasm to work promptly and effectively. Allow Greater Flexibility To Customers. Our pricing structure is very simple and transparent which allows our customers to know precisely what value they are getting for their money. At IFS we can assure you that we won’t be beaten on price for the quality of services that we provide. Our services can be catered for all budgets and all needs of our customers. “What we promise is what we deliver”. This is the slogan that we truly believe in and something we have stayed true to since we started. One example of this is when we were set the task to conduct 340 property inspections in 10 weeks. We achieved this target within time and provided our customer with a very high quality of service. Excellent customer service - Our team will be on hand to assist you with any queries you may have regarding any of the services. In order to improve our customers experience with us our senior management, will beon hand to deal with any escalations or any emergency tasks that need to be done as a matter of urgency. We provide a number of services to estate agents and other housing organisations.We aim to provide our customers with a service, which goes above and beyond their expectations.